Just wanted to pop in with a pretty and say hello. I've written many blog posts in my head. Maybe I'll get one out there soon. Until then enjoy this stunning pink dog wood tree. Hello back from Germany! 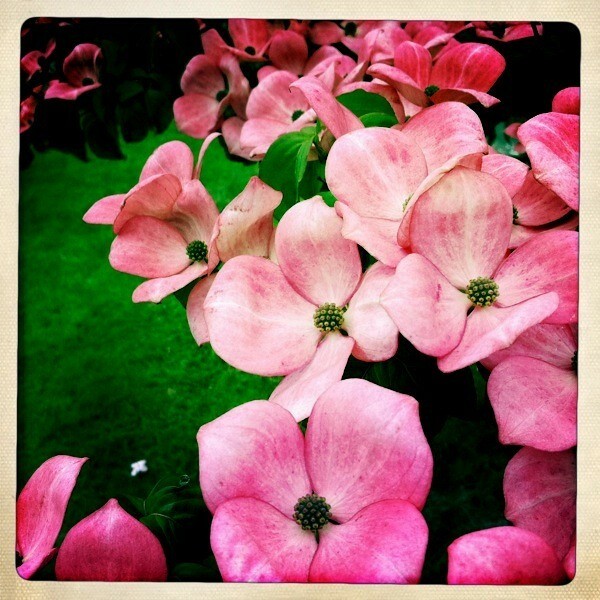 Dogwoods are finished here. Love them though even if they do make me sneeze. Achuu! Love the dogwood banner! Is that in your yard? ?